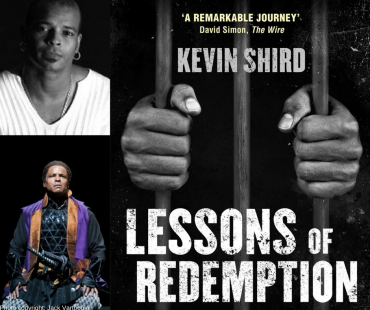 Maverick House is proud to announce that the audiobook of Kevin Shird’s Lessons of Redemption is to be read by Kevin Kenerly, an American actor from Detroit. Kenerly has worked on a number of diverse audiobooks in his career, including Stephen King’s The Running Man and Patricia Highsmith’s The Talented Mr Ripley. Reviews of Kenerly’s work so far have been enthusiastic, referring to his good interpretation, rich tone and aptitude for dialogue. The quality of the narration by Kevin Kenerly…is superb. He does a terrific job at delivering narration, and is just as good — if not better — with the dialogue. He doesn’t commit the sin of overacting, which is one of the things that will turn me off quickest when listening to an audiobook. He does slightly different voices for each character, but he doesn’t make them so different that it takes the listener out of the story; instead, he delivers little change-ups, but more or less allows the material to speak for itself. After I read a book I get a sense of what I want the characters to sound and feel like. When I read a book I’m listening to what the author wrote. Some people look at a novel as a text, but I look at it as language. The narrator has a voice too, a pace, a life. I see the people in my mind, then add the writer’s physical description to that. I take whatever clues the writer gives me. I’ve always read books that way. Kenerly acts for the Oregon Shakespeare Festival and has an impressive repertoire to boast. It seems fitting to us that a man who has previously acted in Macbeth, a play centred around clan rivalry and violence, will now narrate Shird’s account of drugs, gangs and guns set in Baltimore. All in all, we at Maverick are very excited about this promising new project! If you want to get a taste of that rich, deep and well-paced voice, check out this excerpt from The Running Man to see what’s in store!